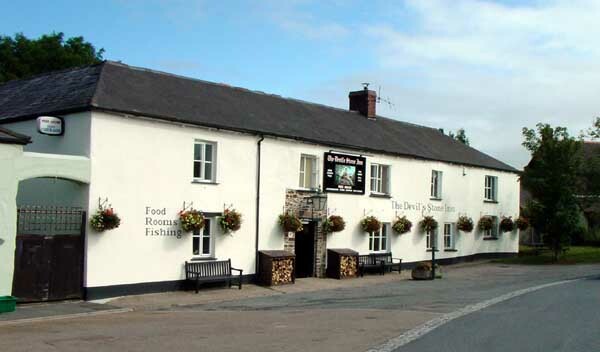 "Probably the best pub in Shebbear"
The Devil's Stone Inn is a 17th Century former farmhouse which was converted into a coaching inn some four hundred years ago. 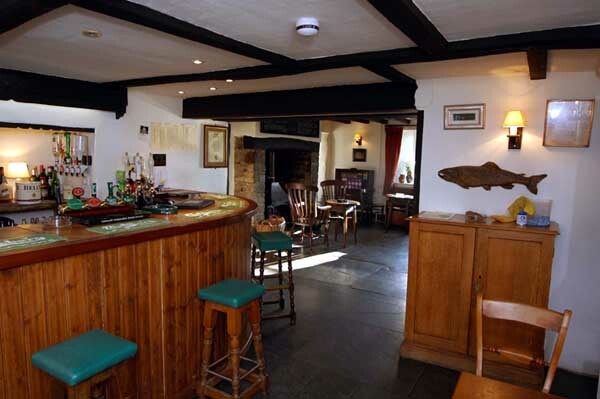 Sitting on the edge of the village square, the pub is a beamed, flagstone-floored building with several open fireplaces. We aim to serve good, freshly cooked food and well-conditioned beer in a friendly atmosphere. There is a large garden, games room and separate dining room. Upstairs are eight recently renovated letting rooms (six doubles and two singles), simply decorated with stripped wood floors and white bed linen. All rooms have a private bath or shower room and tea and coffee making facilities. The inn is said to be attached to the church by a hidden tunnel and is reputed to be one of the twelve most haunted pubs in Britain.